The clinic was established over 25 years ago and until last year we were based in the old Hart Leisure Centre. Rapid treatment – we aim to offer you an appointment within 48 hours of your initial enquiry. Flexibility and convenience – appointments can be offered during the day, evenings and at home if necessary. 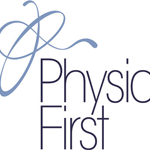 Chartered Physiotherapists – who specialise in musculoskeletal issues. Open to Self referral – clients can contact the clinic directly to make an appointment. Manual Therapy – All our Physiotherapists have a strong emphasis on manual therapy and utilise when appropriate. A gymnasium at our Elvetham site – which extends options that we can provide for rehabilitation. Close liaisons with your GP or consultant – as appropriate to ensure continuity of care.